TAKE A LOOK AT SOME NEW COVER ART! Getting new cover art is like opening a much-anticipated gift. It’s filled with excitement and mystery, and you just want to rip it open and see what’s inside. This month, I got that special surprise twice! What more could a writer ask for? 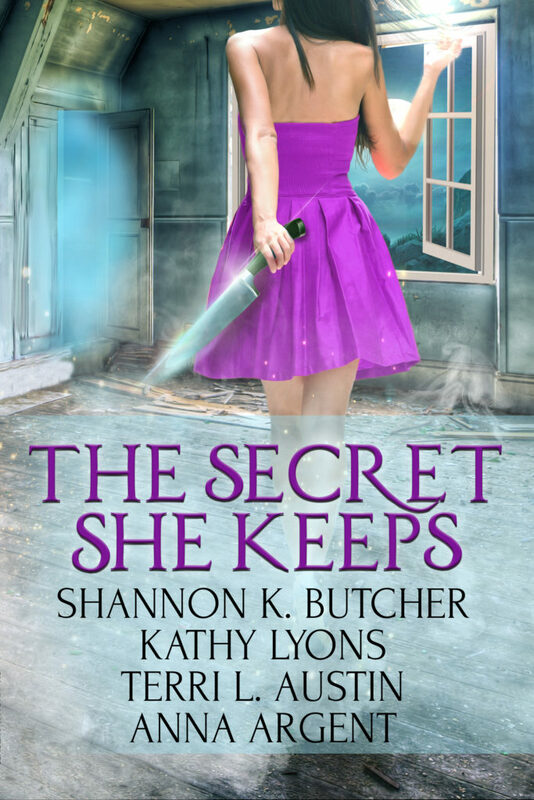 First up is the cover for The Secret She Keeps. It’s darkly flirty, and I absolutely love it! This anthology will be out this fall, and I cannot wait to see what my fellow authors come up with! In the meantime, I’m excited to tell you that the first book in my new paranormal romance series, The Lost Shards, is now available for preorder! I’ll be posting teaser chapters of Shards of Blood and Shadow on my website soon, so drop by and take a look. If you can’t wait, read below for a peek at a world filled with dark prophecy, ancient magic, and a little bit of sizzle. Shards of Blood and Shadow is available for preorder now! Reviews are super important to an author, making books more visible to readers who might enjoy them, rather than being just one more pretty cover in the crowd. Even if you don’t have time to write an elaborate post, writing a single sentence, or even a quick click to list your star rating is a huge help. If you have a moment to leave a review for one of my books you’ve enjoyed, I would be deeply grateful.